Yoga for Kids of CNY – The premiere yoga program for children and teens! SUMMER YOGA and NATURE CAMP Plan ahead! Sign up today for our Summer Yoga and Nature Camp for ages 7-14, July 15-19, Monday-Friday, from 9 am to 11:30 am. Sign up today! **NEW CAMILLUS LOCATION and NEW 6 WEEK CLASS! ** New Camillus location for 6 week yoga class for 5-10 year olds on Mondays starting January 21st - March 4th. Sign up online today! Sign up for Family and Yoga for Kids Classes! Classes for families and kids starting at ages 2.5-14 years. Visit the Yoga for Kids Classes page to learn more, and register online! 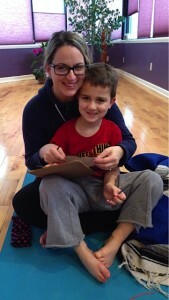 "I love sharing yoga with my daughter by bringing her to Julie's Yoga for Kids of CNY classes. 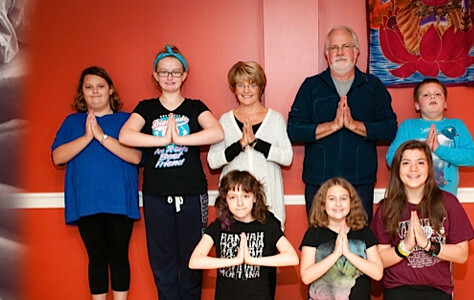 Each class is age-appropriate; beautifully planned around themes of compassion, kindness, connectedness, nature, friendship, and family; and Bella leaves every class eager to return and excited to practice the poses and sequences at home together. Julie is a natural and gifted teacher and has a way of discovering the spark of light in each child present in her classes. She teaches yoga in the most loving way that meets every child where they are and allows them to flourish through the practice of yoga. " -B.T. 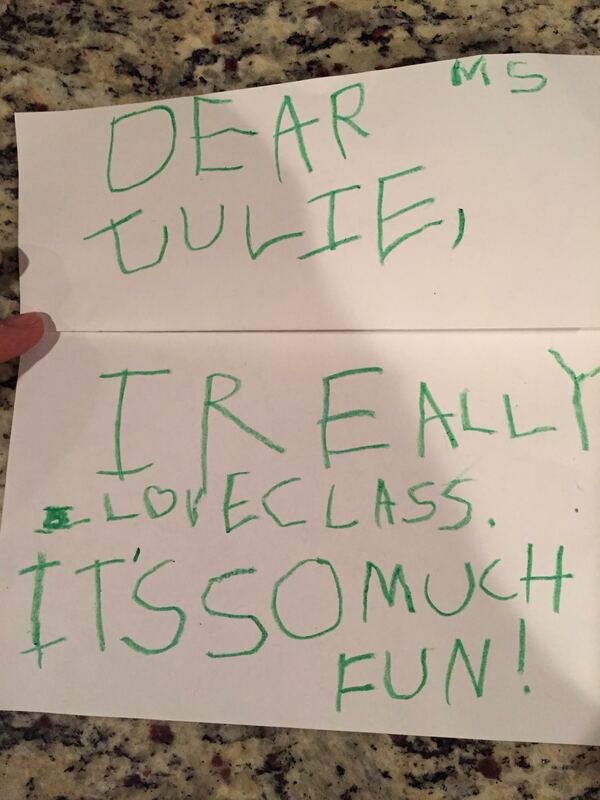 "Ms. Julie teaches more than just yoga - she uses yoga to teach kids how to be accepting, positive and centered - giving them important skills on which to grow and develop into well-grounded individuals." -K.B. "With kindness, lighthearted fun and skill, children learn how to explore and enjoy the yoga postures, stories, and their artistic creativity that can help them (and us!) live in harmony with the world around us...Thank you Julie, for this precious gift for my granddaughter...as well as offering me the chance to join in!!" - D.A. Julie Daniel has been a practicing speech and language pathologist with young children for over 30 years.